For most New Zealand households the energy used to heat their hot water cylinder is the largest contributor to their electricity bill – It makes total sense to use a Dual Purpose unit and benefit from low running costs to heat both your floor and your domestic hot water system. A domestic hot water heat pump is one of the most efficient forms of hot water heating available giving you the same amount of hot water for between 50 – 70% less energy than standard electricity based hot water methods. 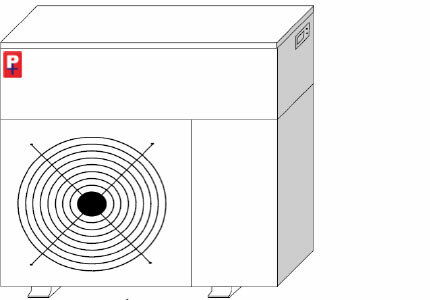 “Performance Plus” Dual Purpose Heat Pumps offer the convenience of one unit capable of heating a pool and a floor to two separate temperatures without the need to divert water. 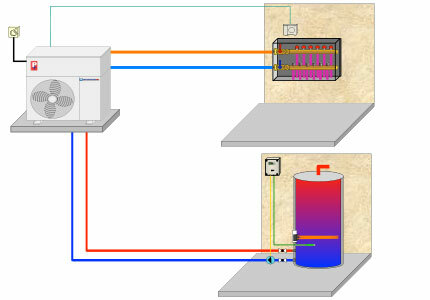 The Dual Purpose system is designed so domestic hot water takes priority. This saves the expense of buying two heat sourcess, saves space and gives the homeowner substantially lower operating costs. 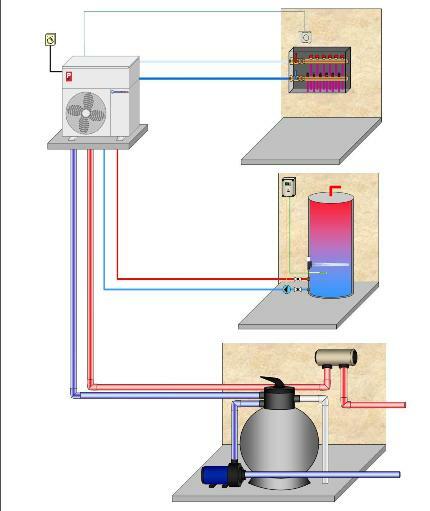 Make your system a TRIPLE PURPOSE system and heat your floor, your pool and your domestic hot water. One unit to heat all three. Maximum efficiency and minimum fuss.